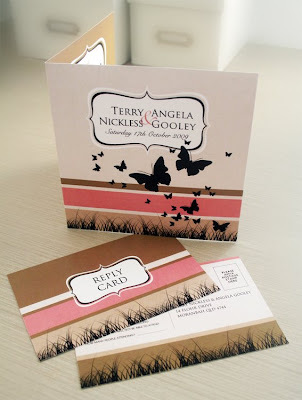 The Butterfly Daze Wedding Invitation and Reply Card. Terry & Angela opted for Square Folded Card, with a simple verse on the inside left panel. The matching Reply Postcard completed the package.